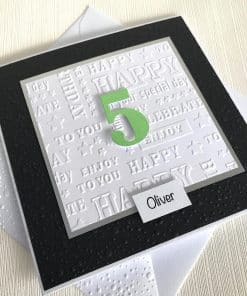 Handmade 30th Birthday Card with FREE personalisation. 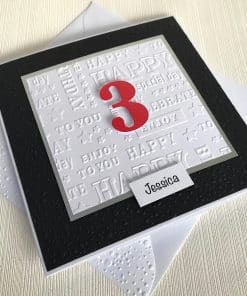 This handmade 30th birthday card features a die-cut number on a background embossed with happy birthday greetings. The card is personalised on the front with the name of your choice. 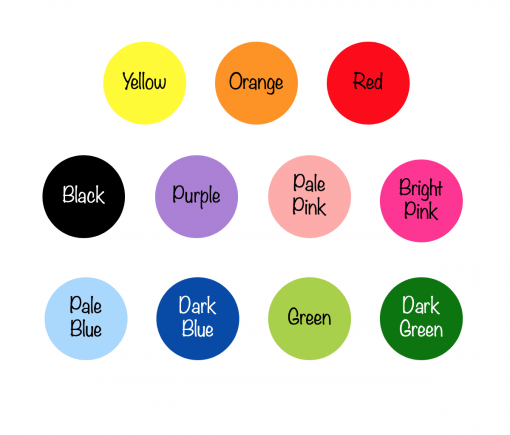 You can choose from 11 different colours for the number. The envelope flap is also embossed for an extra finishing touch. The cards are packaged in a sealed cellophane bag for protection. 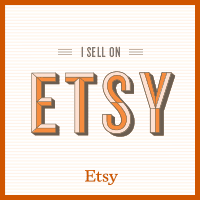 One of several orders and all are great and so individual. Fast delivery received them next day!